Could You Teach at a Resort for 8 Weeks or Longer? Instructor Amy Macgowan getting her resort pool class fired up! Fitbodies Inc. is looking for some very special Instructors that can fly to Jamaica and teach for 8 or more weeks at a time. Long Term Fall Opportunities We are looking for yoga and group fitness teachers to travel to Jamaica and teach long term this fall. The booking fee will be drastically reduced if you are able to stay for at least 8 weeks. We have availability at Couples Swept Away, Ritz Carlton, Secrets Montego Bay and others to mix it up a bit while you are there. 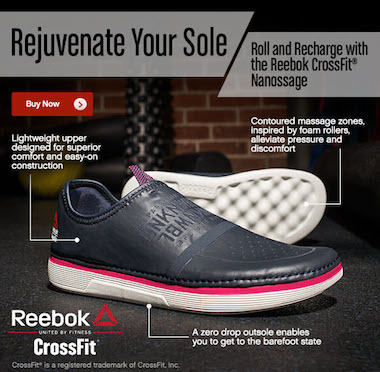 Then contact suzelle@fitbodiesinc.com or lisa@fitbodiesinc.com for more information. A bad reputation is hard to live down. Back in the PI (Pre-Internet) days we didn’t have much information beyond stories and recommendations from friends. I remember back in 1994 when my wife Amy and I were planing our very first trip away from our two young girls. We were thinking Cancun when our travel agent suggested we try the Sandals in Ocho Rios Jamaica. “You’ll like it and you can’t beat the price… it’s All Inclusive”, was the agent’s reply. She was right and now, after staying in multiple locations around the Caribbean, Jamaica is always our first choice – with our without our kids. Now we have the Internet and dozens of travel review sites – so we aren’t limited to a few friends. You can now find hundreds of reviews and do your own research before deciding on which location to book your fitness vacation. Amy and I are scheduled to teach at Couples Tower Isle later this month. We’ve been there three other times and would highly recommend it to anyone. I have a short post about an Instructor who taught Spinning classes on her working fitness vacation, based on our suggestion that you can read or check out these 69 reviews from paying customers to the resort. You can create your free profile and start researching resorts where you can teach today. Spinning Instructor Brenda Moeske learned about Working Fitness Vacations on a Podcast I did with Suzelle Snowden from Fit Bodies Inc.
After talking to Amy last year at the ICI/PRO conference Brenda scheduled her vacation to teach for the week at Couples Tower Isle in Jamaica. It turned out to be a fabulous week! I taught my last class (group fitness) class this morning. I did group fitness at 9 a.m. and spin at 5:00 p.m. I had some good classes! My participants said I was missing a great view!! They don’t have us teach on Friday afternoons and of course Saturday’s. What an amazing experience!! My husband has thanked me the entire trip and the hospitality has been wonderful!!! We have already been on the website planning our next one! Thanks again for letting us know about FitPro Travel!!!! See you in a week! Amy and I have both taught at Couples Tower Isle a number of times. It’s really a beautiful and romantic place. 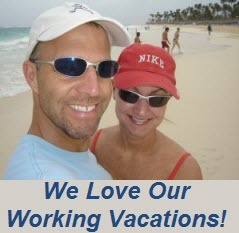 Do you have a low cost Working Fitness Vacation planned for this winter? See if you qualify, create your free profile, pick your resort, schedule your flights today.